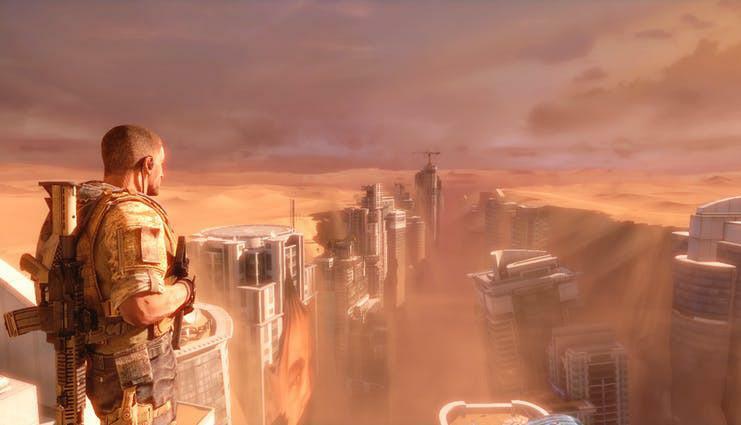 Spec Ops: The Line, developed by Yager and published by 2K Games, was one of the most surprising games to be released in 2012. Originally presumed to be yet another run-off the mill modern military FPS in the Call Of Duty vein, it turned out to be one of the few times the consequences of the protagonists actions - especially mentally and emotionally - are played out. Whilst it isn't particularly innovative mechanically, nor does it feature any multiplayer, it's deep narrative drew strong praise from critics. It would go on to be fondly remembered as a lesser known gem, all the more because it was so unexpected. Right now Humble Bundle has the game available to purchase free, by anyone with a Humble Bundle account. Redemption is easy: you'll be issued with a key which you can then apply on your Steam account. Once purchased, you have until April 14th to redeem it before it vanishes into the ether. Be aware however: you don't have long left. The offer ends at 18:00 UK time today (Saturday March 31st), so be quick about it.